Architectural Practice with Conservation Accreditation. We are good at challenging projects in conservation areas, on green-belt land and involving listed buildings. We presently have a number of projects involving the adaption of both A and B Listed buildings. We create the surroundings you’ve imagined. A small architectural practice, we design diverse, award-winning homes, buildings and public spaces. We care about what it’s like to live and work in the places we make. So our first job is to listen. Your ambitions, constraints and inspirations are decisive factors in your designs and we consult with you closely while we bring your vision alive with models, sketches and plans. We stay with you throughout the process, handling paperwork, sourcing the right team, and collaborating with them through the build. Thanks to our breadth of background knowledge, we always achieve planning consent. We believe in the value of craftsmanship. We design thoughtfully, and build to last. 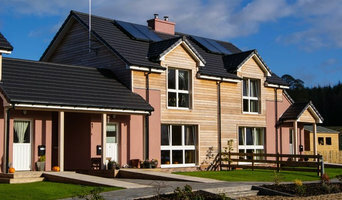 NVDC Architects, based in Glasgow, Scotland, are an innovative architectural practice with particular expertise in the design and build of domestic, residential, commercial and healthcare projects such as new dental practices, new-build houses, house extensions, residential developments, conversions and internal remodelling and alterations. NVDC architects provide a full range of architect services from the initial concept to delivery of the built project on time and budget. We work closely with our clients to fully understand their needs and aspirations and through imaginative design produce solutions that maximise value and project potential. NVDC architects philosophy is that architecture can be life enhancing and we strive to do just this with every one of our projects. Contact us to arrange a free initial consultation on how we can help with your project. Chartered architect Farahbod Nakhaei is the driving force behind the company who maintains a focus on delivering the best architectural solutions and striking contemporary spaces. Paterson Gordon Architecture is an award-winning, contemporary architectural practice with a keen interest in environmental sustainability. We approach each project individually and work to balance the needs of the client, design aesthetics and the opportunities of the site with budget and environmental considerations. McInnes Gardner creates signature, modern houses for our clients. We undertake new build houses, renovations, remodels and extensions. Each of our custom homes is an exclusive work of art with captivating modern interior spaces, exceptional kitchen designs, and functional contemporary floor plans. We achieve this by designing every aspect of the house architecture from inside to outside, harmoniously merging the exteriors, interiors, lighting and landscapes. This holistic approach to custom home architect and designer services culminates in extraordinarily unified houses. Our designs are tailored architectural compositions, harmoniously combining internal space & light to elegant external elevations. Incorporating the latest renewable and sustainable techniques our homes are designed for effortless modern living. Our clients’ vision is realised through exceptional attention to detail in every aspect of the design, from bespoke joinery to lighting design & smart technologies. We are a socially and environmentally conscious architecture practice with a ‘first principles’ approach to every project we undertake. This care in our approach has resulted us becoming adept at dealing with challenging sites such as green belt land, conservation areas, and works to listed buildings. We work from the smallest scale alterations and design vignettes up to master-planning and urban strategies for growth and development. We love looking at materials and imbuing them with a richness missing from much of the built work in the world today. We have a passion for detail, craftsmanship and technical innovation. We aim to make each project unique, thoughtful and beautiful - a poetic response to both it's place and time. 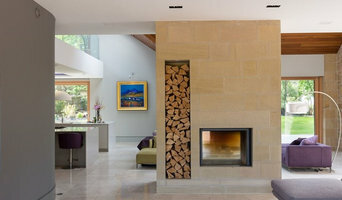 DTA Chartered Architects is an East Kilbride based, award winning, experienced practice that comprehensively understands and believes in the need to match expectation with delivery, providing a full range of architectural services across Glasgow, Lanarkshire, the whole of Scotland and beyond. We have established a reputation for having an extensive depth of experience and ability within a variety of sectors. This experience is reflected in the diverse range of projects carried out by members of the Practice. Through a network of contacts and partnership ventures, DTA Chartered Architects can provide services covering the full range of development activity from site identification to site supervision in a manner that is both cost effective and gives clear value for money. Every decision taken during the process of delivering a project is, in essence, a design decision that will affect the outcome. It follows that every member of the design team, client included, must understand the consequences of their input. For DTA Chartered Architects, design is not an elitist activity, but a collaborative one, and our role is to ensure that our projects are conducted in a frank and open manner, which reinforces our commitment to team working, both internally and externally. [BE]spoke has an extensive portfolio of completed projects, ranging from one off houses, and full townhouse refurbishments, to garden extension and internal alterations. I have gained experience across a number of sectors since graduating from The Scott Sutherland School of Architecture at The Robert Gordon University in 2005. Following 5 years experience working for a large commercial practice, I began working as a sole practitioner in the West end of Glasgow in 2009. This subsequently led to the formation of Ellson Buchanan Architects, which specialised in bespoke domestic extensions and conversions, and operated successfully for a number of years. Bespoke marks a significant milestone in my career, focusing on the delivery of high quality, well designed, and innovative extensions, conversions, alterations + interior design, for homeowners, ensuring attention to detail and personal service. The word of mouth referral base created now allows my expertise to speak for itself. 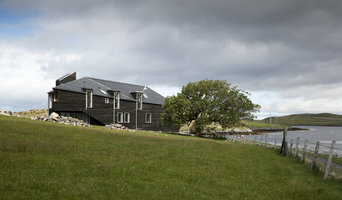 HebHomes' portfolio of houses is the culmination of 18 years of award winning architecture from Dualchas Architects. Inspired by traditional rural architecture, the HebHomes signature design combines modern living spaces within a form that is both sensitive to architectural heritage and local landscapes. They are loved by planners across the UK and Ireland. We are happy to amend any of our designs to suit your particular needs. 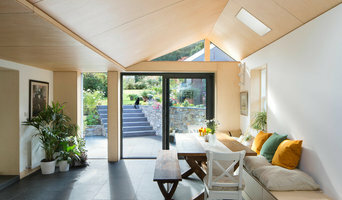 We are architectural designers who specialise in passivhaus and low energy housing, but can undertake all types of work from housing extensions to self build houses. Formed in 1999, B3a are an established architectural practice serving the central belt of Scotland. Our aim is to provide a fantastic level of service and meet our clients expectations. The McLennan Partnership Ltd Chartered Architects provide a client focused architectural design, contract administration and project management service to a domestic and residential clients across Scotland. We provide a user friendly service for home-owners and can assist with any aspect of home renovation from replanning interiors to large extensions or new build houses. We endeavour to ensure that we meet and exceed all our Client’s expectations and that they are assured at every stage of the design process and delivery on site no matter their previous knowledge of construction projects. Forsyth Glazing! Established in 1969, we have grown from being a one man glazing business to a company employing over 50 people, offering a vast product range of doors, specialised cut glass, aluminium shop fronts to splash backs & worktops. In fact, if it contains glass we probably can help – all designed to enhance the interior of your home or workplace. A company that doesn’t stand still, we constantly look for new ways to develop what we can offer our customers. Our latest on-line product store offers you the opportunity to design and order your very own wardrobes with sliding doors, as well as purchasing frameless glass doors or interior hardwood or oak doors from the comfort of your own home. w : datum-architecture.co.uk e: datumarchitecture@gmail.com Architects Registration Board - Registered Architect ARCHITECTURAL SERVICES Datum Architecture would be delighted to provide you with a flexible, professional, and cost effective architectural design service to ensure that the design of your extension, conversion or new build is elegant, life enhancing, technically well built and meets all your requirements in terms of brief, budget and time scale. CAD DRAWING OUTSOURCING Datum Architecture is committed to providing a professional, efficient and cost effective CAD drawing outsourcing service. Using the latest, fully licensed Autocad LT and Revit LT software, I can provide Planning, Building Warrant, presentation or technical drawings and project documentation all based on your office CAD standards and requirements, at any stage in your office projects, from inception to completion.